Fans of Orange is the New Black’s Poussey Washington might still be in mourning after watching the moral compass of the show take her last breath in a heartbreaking struggle between guards and inmates during one of the most talked about episodes of the series, but despite the backlash from her character’s departure, Samira Wiley has turned the unforeseen exit into a positive, moving onto new experiences in the indie drama 37. The new film is inspired by the true story of Kitty Genovese, a Queens woman who was brutally murdered outside of her apartment in Kew Gardens, NY in 1964. Thirty-seven, count ‘em, 37 reported witnesses cowered in the shadows and did nothing to help her. The horrific story made national headlines because not only did dozens of bystanders fail to intervene, but were hesitant to even to report the crime. The movie, which delves into the lives of multiple families living inside of the building, includes Wiley’s character Joyce Smith, who recently moved to the neighborhood with her husband Archibald (Michael Potts), and five-year-old son Troy (Marquise Gary). The Smith’s were merely looking for a better life, and certainly not looking to make waves… especially being the only African American family in the neighborhood. During our interview, Wiley posed the question of ‘who would the police blame first?’ Proving that the color of your skin, and the ramifications of speaking up were all too apparent during this time period. I got the chance the chat with the extremely talented and thoughtful actor about her new role on 37, leaving Poussey behind, but remembering her as an integral part of her career, and even a little bit about Hulu’s adaptation of Margaret Atwood’s The Handmaid’s Tale. MCKENZIE MORRELL: Your new film ‘37’ is now in theaters and on demand, congratulations! For those who haven’t seen the movie yet, can you tell us a little about it and the character you play? 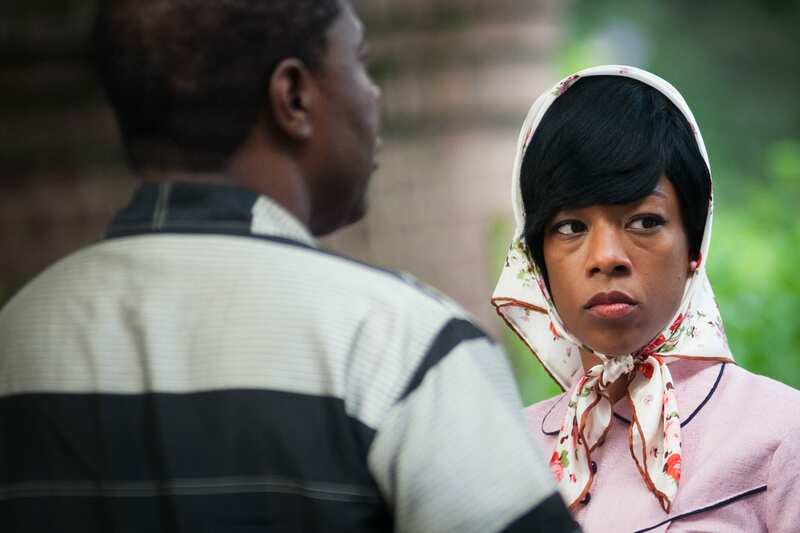 SAMIRA WILEY: The movie is centered around the crime of the murder of Kitty Genovese 1964, in Queens. The movie, which is an amazing artistic choice, is not really about the murder itself. It’s about the people that live in the neighborhood and not just the neighborhood but the birds eye view of where this crime happened and witnessed this happen and didn’t really do anything, didn’t call the police, didn’t shout out, didn’t do anything to prevent or help her during that horrible crime. The character that I play is the wife and mother of an African American family that moves into that neighborhood, literally that morning, when the crime takes place. They’re moving up in a way. They’re moving to a better neighborhood. My character is pregnant and also has a young son that’s five years old. They’re wanting to have a better life. They’re wanting to provide for their children and let their children have things that they didn’t have growing up. There’s a struggle between my character and my character’s husband, throughout the film that is a struggle of how they’re going to raise their son and who they want their son to be. So that’s a constant struggle. Also, when the crime actually happens, one of the reasons why I feel like nothing is said on their part is literally because of the color of their skin. It is the first night of them in this neighborhood and in that time, they’re thinking “who would be blamed first if the police were to come around? We’re the only black family here.” Race relations at that time were a lot different than now and that instilled some fear in them. I feel that’s what the movie is centered on for my character. MM: The story has been haunting New Yorkers for more than 50 years, what drew you to this project and why did you want to do it? SW: First of all, I wasn’t really familiar with the story of Kitty Genovese before I was approached with the idea of being involved with the film. One of the things that really attracted me to it, in terms of my career is that it was so different from the character Poussey that most people knew me as. I felt like I wanted to be able to tackle a character that was on the total opposite spectrum of what I had been doing. Then, having done a little bit of research on the story and on Kitty and on the psychological study that this has become on people who were just standing there, witnessing what happened, I just really became enamored with the story and I thought how has a movie not been made about this already? And then sort of being happy that a movie wasn’t made because then I could be a part of it. But those are definitely the things that attracted me to it and Puk Grasten, the director, she had already made a short that had acclaim and I decided to be a part of her first feature. MM: Did you feel any pressure in contributing to the retelling of this story. Playing a role based on true events must have been different than that of a fictional character. SW: Oh yes. I felt pressure and nervous and I felt, at the same time, like I was in good hands with our directors and with Michael Potts who plays my husband. He’s such a veteran actor and I think things come so easily to him so to be able to play with him in our scenes together was really helpful for me and helped me ease into the character more. But there is a lot of responsibility telling a true story. MM: Obviously this story is told through many different eyes. Do you think that’s what makes this film so unique and have you ever seen a movie that told a story that way? SW: That’s another reason I was attracted to it. I felt like it was such unique storytelling, number one that you can have the story not be about the crime itself but have the focus be about the witnesses, was such a fresh take on telling a true crime story. And having it be, like you said, from these three very different families and you’ve got three children, really who are showcased in this and seeing it through their eyes and seeing it through the adults eyes, things can be so subjective and we watch things and so much of how we perceive it is because of us and our own lives and our own perception of things. I thought it was a really interesting, great creative idea and that was another thing that drew me to it. 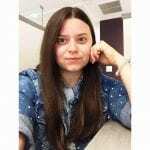 MM: As someone who has lived a good chunk of their life in New York, do you think that if a crime like that occurred in 2016 that it would be a similar outcome to what happened 50 years ago? SW: I think that with, especially in the last few years, I’ve seen people with their cell phones filming things and that’s technology that we haven’t had before. Before we had witnesses telling from word of mouth what happened and there can always be suspicion on someone who is reporting something. So having an eyewitness account from a video that people take from their phones, is showing people how much we can rely on that for crime and for witnessing things that are wrong. I’m not exactly sure if it would be exactly the same, but I’m not sure if it wouldn’t be exactly the same just a few years different. There’s a mentality of “all these people are watching this. Somebody must be reporting it so I won’t.” You have to take responsibility because this is your fellow man and you’d want someone to do that for you. Having empathy and having to step into whatever person’s shoes are being attacked or being bullied or anything like that, I think now having the cameras, we’re starting to move forward in that regard. MM: What do you hope happens after people see this film? SW: Conversations will be started. That is where everything has to start. My goal as an actor is to be able to spark conversation in people and spark thoughts that they never would have had before seeing the film or before being impacted by a piece of art like this. It’s something I want to be on the forefront of people’s minds and have that subconsciously affect their actions and the way that they think about things. Honestly, having conversations started, I think we’re on the right track. MM: What was the most difficult thing you faced while shooting this movie? Were there any challenges or rewarding experiences from it? SW: Honestly, I think working with a child actor was something that I’d never done before and it was such a joy working with Marquise Gary who plays Troy. He brought such a delightful energy to set. It’s something I was maybe afraid of going into but it ended up being such a joy and children can sometimes remind us of the joy of our job and that it’s not necessarily just a job. Remembering this and seeing how he took on certain themes and his lack of reserve and his lack of being nervous on the takes and being who he was. I think I really gained a lot from watching him do his thing. MM: That’s awesome. Now you mentioned that this character is vastly different from Poussey on Orange is the New Black. Even though they’re so different, would you say there are any similarities between these two characters? SW: I think there are similarities in terms of them really wanting to do the right thing and fighting for that with reckless abandon. Fighting for what’s right. Poussey gets physically beaten the tar out of, in season two, when she’s trying to push back against Vee and everything she’s trying to bring to the prison. She has real morals and becomes the moral compass of that show. And Joyce, in 37, she’s trying with all her might to be able to raise her son in a just way and a way that she feels is right. She wants him to get an education and be in the moment of his life. He’s five years old. She wants him to be a five year old. She ends up getting beat up, in a way, verbally by her husband and she doesn’t back down, for what she wants for her son. There’s a point where she walks away from the argument but her convictions don’t go anywhere. They stay with her. MM: We’re obviously very sad and angered to see your character on Orange is the New Black go. What is something that you’re going to miss about working on that show or take away to your other projects and apply to them? SW: Well one thing is definitely remembering that this is really my first — or this was my first venture into the entertainment industry in such a big way. In a way, I feel so blessed and privileged to be able to work on a show that has so many women in power positions. We have women producers and the most female writers on a show on television right now. We have women directors and executive producers. The creator of our show is a woman. That was so inspiring and empowering. Even if I’m able to look back in hindsight and see how much that influenced me but even subconsciously, at the time, giving me some confidence in knowing what I was doing and also what I can aspire to. Of course, that’s one thing and the cast, they’re all my sisters in a true way. They’re going to be a part of my life forever. I gained a real family being on that show and I’m going to miss them so, so much. MM: And we’re going to miss you on the show. It’s not going to be the same. I’m going to throw in an off the cuff question. If you could create a donut based on your personality in real life, what kind of donut would it be and what would the toppings be on it? SW: Well I’m diabetic and I don’t eat donuts so this is going to be great to create and not worry about my blood sugar. I think it would have to be — this is going to be crazy — I would want there to be different fillings, like different little parts of the donuts. You know those donuts that don’t have holes? I want my donut to not have holes because I want it to be w-h-o-l-e, as a whole. I am a person that fully accepts themselves and fully steps into the world with all of me, but I want to have different fillings and different little compartments in the donut because there are so many parts of me. There’s the part of me that wants to jump on the red carpet and wear fancy shoes or jump on the couch and wear the backwards hat. Then we’ve got to have lots and lots of sprinkles and lots of that edible glitter. I’m going crazy. And like a cherry on top because — just because. I feel like there’s a cherry on top of my life. MM: That sounds delicious. I’m getting hungry. It’d be terrible of me to not throw in a question about The Handmaid’s Tale you’re working on for Hulu. Can you tease anything for the 2017 release? SW: I think I can just say that Margaret Atwood has been on set with us and we had dinner with her. I can’t say much about the show itself but it has been great working with her and having an intimate cast dinner with her. We are trying to make her proud. She’s going to be an inspiration for us and hopefully she’ll come around whenever we need her. She’s the best. MM: Right? The pressure to live up to a book is always a concern, but I think you guys are going to do a great job. To conclude, is there any other news or messages that you’d like to share with our readers? SW: I just want to say thank you so much for being such a fan and following my career from Orange and I hope to make everyone proud with my next project. MM: You definitely will. I saw the movie and loved it. I think everyone will be really excited to see you in a different light and different dynamic. SW: Awesome, thank you so much!